How do I resolve Video & Camera issues? 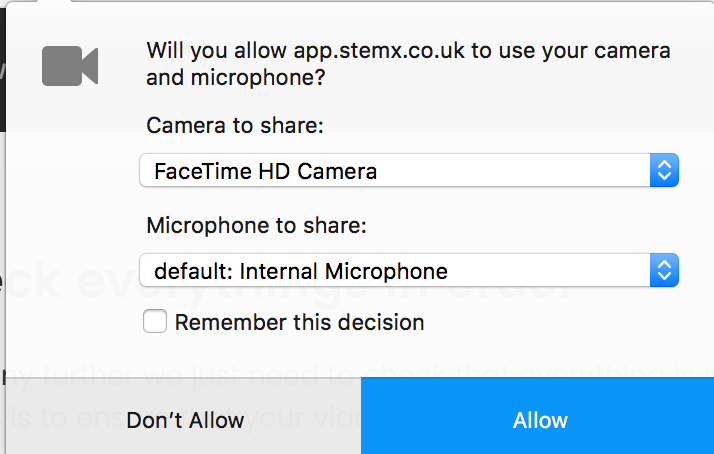 We will ask permission to connect your webcam when doing the setup. First thing's first is 'Allowing us' to access your Camera. The screenshots below are where you have to allow us on Chrome & Firefox. Once you have given us access, make sure there is nothing covering your camera or obstructing the view. If you are still experiencing problems with your Camera, see below. 2. Confirm that your Camera is working. 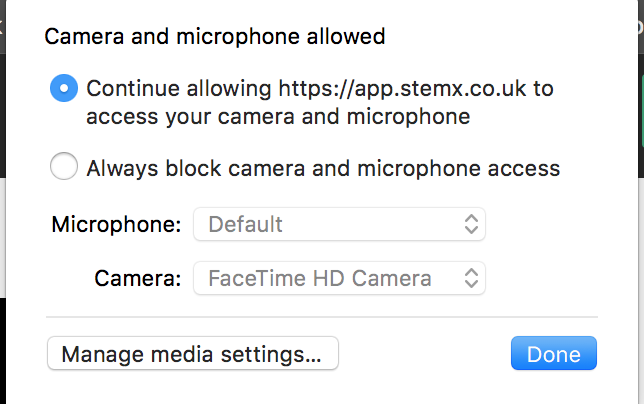 Try opening your camera in another application, like Photo Booth for Mac or on a Windows Device, try opening Camera. If you your camera works, there may be a problem with your browser.